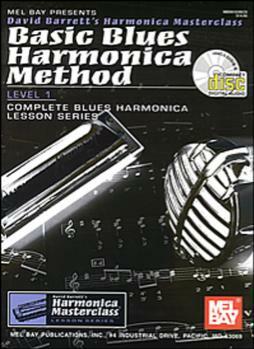 Basic Blues Harmonica Method is geared toward getting you playing blues harmonica as fast as possible. The songs and exercises have been designed to get you comfortable with moving around the instrument and allow you to take full advantage of the great sounding patterns available on your harmonica, without first having to learn advanced techniques such as bending. The basic techniques covered are single hole embouchure, tongue block embouchure and octaves. You'll be able to achieve that bluesy feel, without bending notes, by learning how to play in 3rd position. You'll also learn single note patterns and rhythms that will help you develop your motor skills and tone. This book is packed with song examples that sound great, even at this beginning stage. The CD that accompanies the book contains eight jam tracks for you to play along with. These jam tracks use harmonica-friendly keys and a wide variety of tempos and grooves to fit whatever mood you're in. The instruction portion of this book/CD set teaches phrasing within the 12 bar structure.